ApolloIM has started as an AIM client for iPhone. Now it's supporting ICQ and MSN networks. It's in beta stages now. 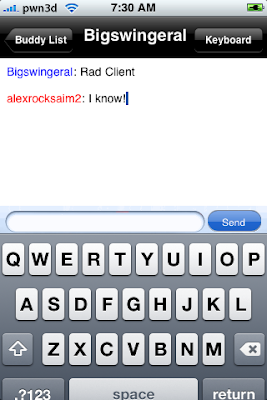 Try this downloadable version or choose one of these web based iPhone chat clients.